Sugar and Color: My Two Faves! 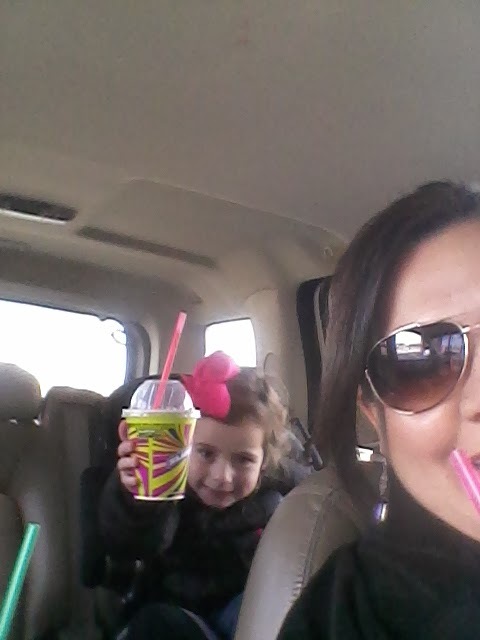 It is freezing cold here, but it's always Slurpee weather! Katie and I treated ourselves after school today. I also treated myself to a package of chocolate donuts! Sometimes it's really fun being pregnant! I don't even have to pretend that my New Year's Resolution is to lose weight. It might be a different story in April though! And I love that this view makes it look like I have a clean car. ha! Marcus's dad treated us to the Fort Worth Rodeo last night. Of course we had to get cotton candy! This is Pam (sis in law) and Melissa. Katie just wants to hurry and take the picture so she can shove more fluff in her mouth! I failed to get a picture of the rest of the crew. And I am willing to bet that if I didn't have a blog, pictures would rarely get taken at all! I love this pile of colors! I just brought up a bunch of scarves to Golightly's. These are great for now and spring too. The pastel chevrons are kind of Easter eggish! And if you missed the mascara party yesterday, you can see that here. 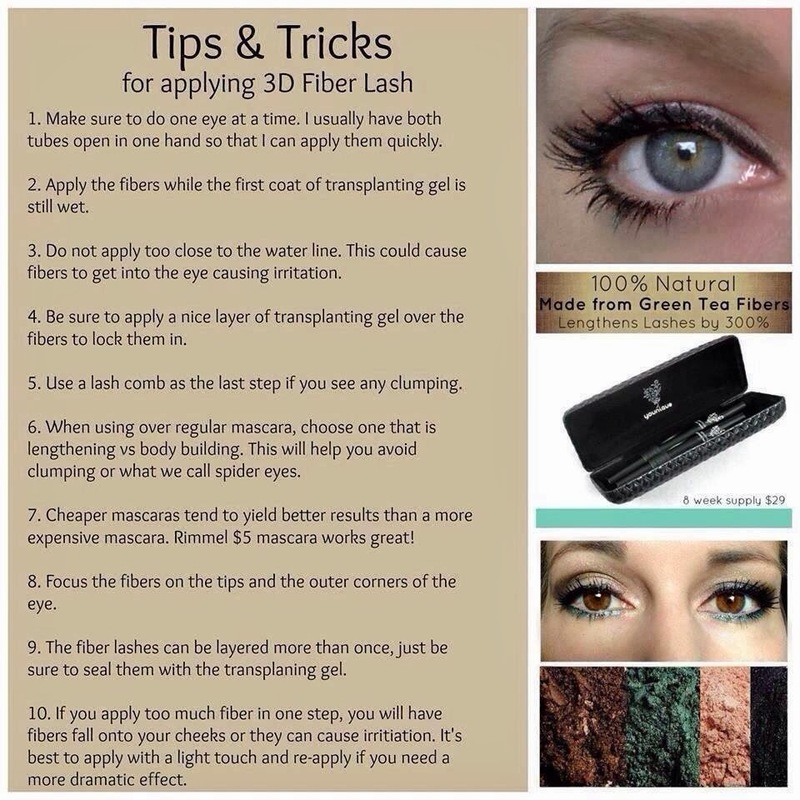 My friend, Michelle, got this great 3D fiber mascara. 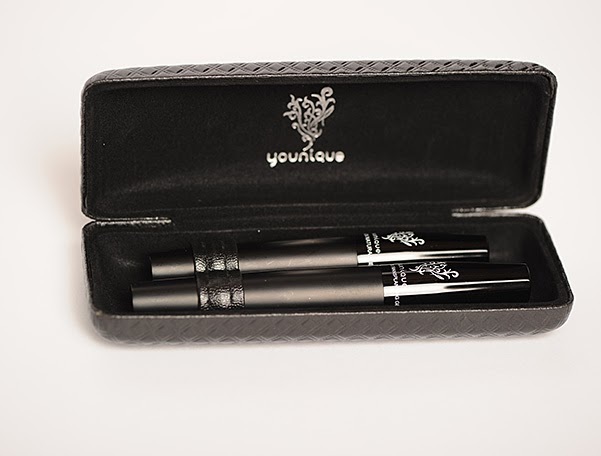 It lengthens and thickens your lashes. Anyway, she loved it so much, now she sells it. Michelle is on the right. And just FYI, Catherine, is in the middle. She's the one with the foster baby I mentioned yesterday. And I shouldn't leave Rene out. She's on the left. I don't have a story about her right now, but one day I will. She's hilarious. 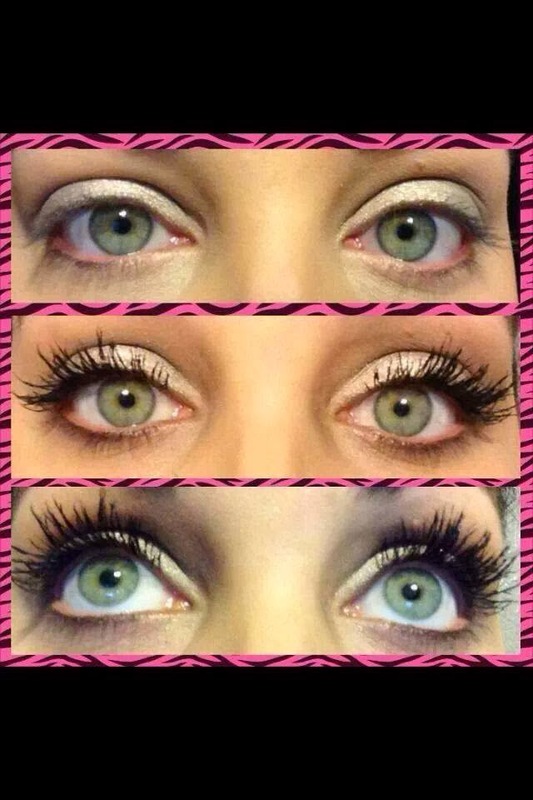 Here are Michelle's eyes bare, with mascara and then with the 3D Fiber Lash mascara. I started using it too and I love it! AND I have tried just about 100 times to take my pics like this and I look cross eyed and crazy in EVERY . SINGLE . PICTURE! If I can figure it out, I will share some pics! Anyway, I thought it was worth sharing with you. It's $29 for a 8-12 week supply. Michelle set up a 10 day online party for me if you would like to order here. 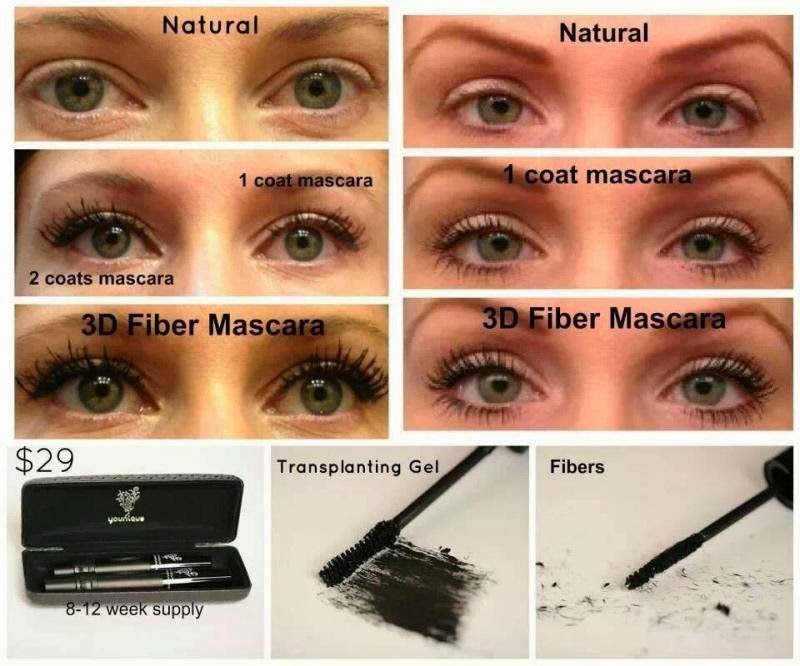 They have other products too, but I haven't tried any of them yet, just the mascara. And there's a video you can watch of how to apply it. That was helpful to me. You can also look it up on You Tube also. Now we are headed to the Rodeo! I wish I had time to talk about Sean and Catherine's wedding last night! Did you watch?! Things have been super busy since we've gotten back from our trip. My friend, Courtney, had a birthday! We love a good reason to go out and celebrate...and EAT! Before dinner we all met at Sephora. It was so fun to look at make-up and beauty products with friends. It's a good way to learn about new products and what your NOT doing right! I'm the oldest of this group, so I need all the beauty products I can get! Something that was less fun, is that Katie woke up with a fever last weekend. 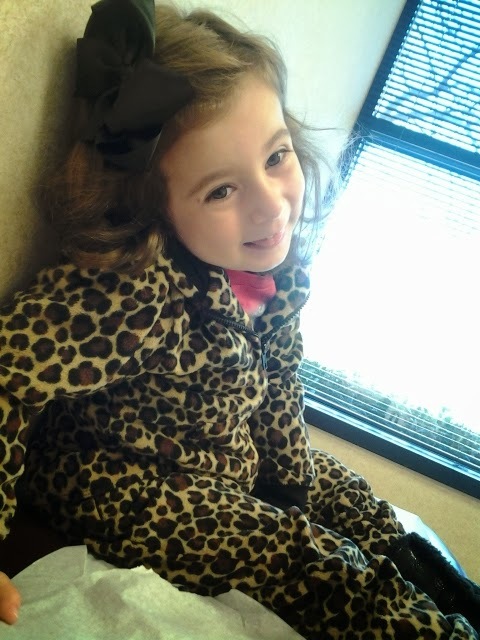 We took her to the doctor right away to make sure it wasn't the flu. She has had a shot, but I know people are still getting it. Thankfully it was something else. She was sick for about 3 days. I wanted her to look sicker in this picture to make it more convincing, but she kept smiling! One day after the sicky was better, we had a fancy lunch date. We were running errands and I just needed a coke, but Marcus said he couldn't stop somewhere and not eat. It was 11:00 and that is close enough to lunch time for him. And I am pregnant, so food sounds good just about anytime to me. 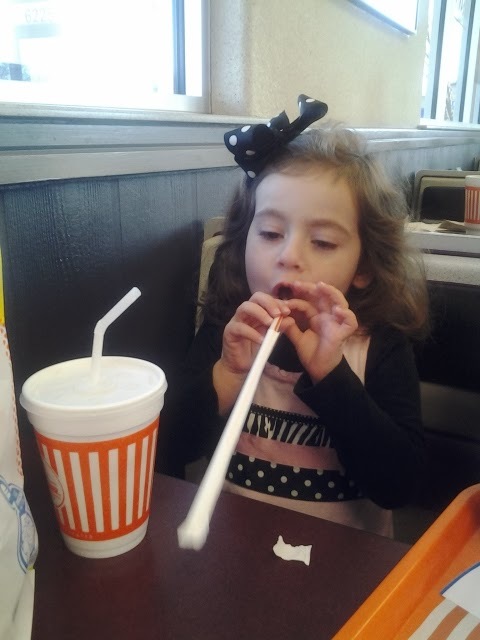 Marcus taught Katie how to blow her straw wrapper. 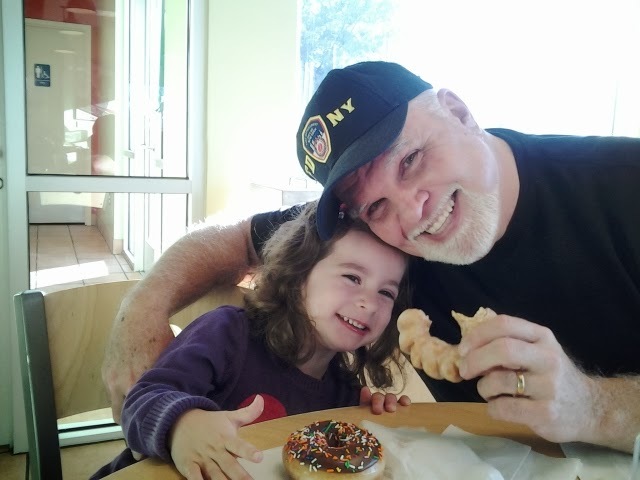 Katie and I got to have another date at Krispy Kreme with my dad! Then we did more birthday celebrating! My mother-in-law's birthday was on Friday. Of course niece made the cute and delicious cake. The birthday girl with the grand kids! Then on Saturday we got to celebrate Charis and Drew's birthday. They turned 4 right before Christmas, but Courtney thought it would be less crazy to celebrate in January. They had a pool party and it was so much fun! I was SO thankful Marcus didn't have to work. I was not about to put on a bathing suit. I'm glad they were born! My friend Catherine and her husband are in the process of adopting their foster baby. They have had her for the past 10 months, since she was 2 weeks old. To help with some of our court and attorney fees we are selling some notecard sets. All of the money from the card sales will go to pay for the adoption and we are only selling enough to cover the cost... so order soon! I designed them with Zoe in mind- the purple color was named the "color of the year" for 2014 and this will be a big year for us. There is also a tiny heart hidden in the design- just a reminder of how much we love her! 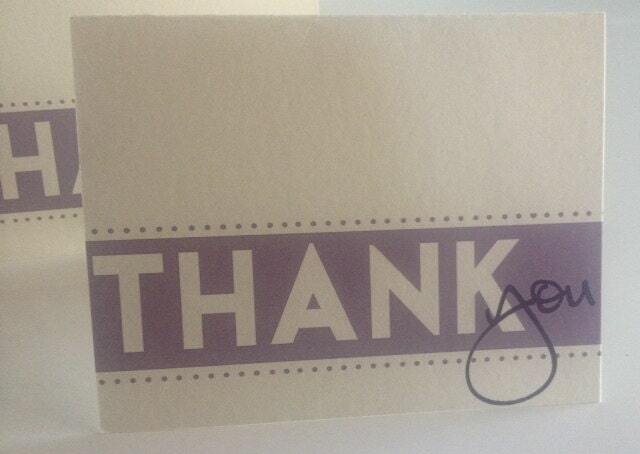 They are $20 for a set of 10- priced a little bit higher than my typical notecard sets to help with the fundraising. Each set will be printed on beautiful, thick paper and envelopes are included. We appreciate your purchase so much. Shipping is included or I can bring them to church or you can pick them up if you are local. Please purchase from my etsy shop so I can keep orders straight https://www.etsy.com/listing/177202207/set-of-10-thank-you-folded-notecards? 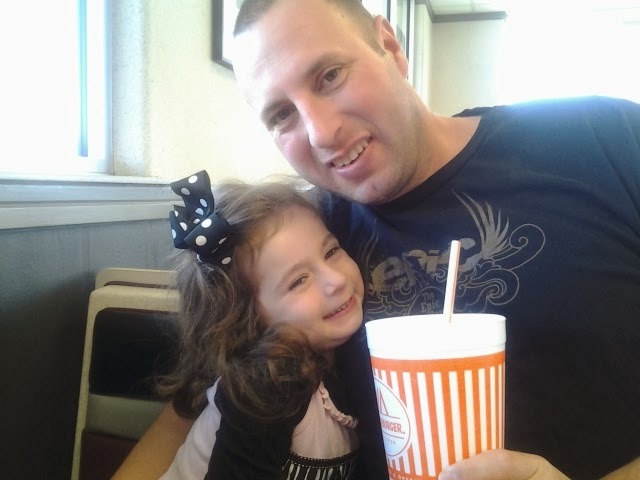 Our prayer request right now is that that CPS, the courts and our attorney can work quickly to finalize the adoption and we can get this finished as soon as possible. Thank you so much for your continued prayers. We are so blessed with our friends and family! You can check out her other fabulous things on her Etsy page too. Catherine is my friend that makes all the cute invitations and stuff for Katie's birthdays. And also please pray for The Coleman's. Their 1 1/2 year old little boy, Bennett, is battling a rare cancer. They found the tumor just days before Christmas. Ben and Megan (the parents) used to go to our church. Now they serve a church in Lafayette, LA. And Megan and Bennet are at St. Jude's in Memphis, TN. So she is apart from her 2 other kids. You can read about their story here . I know they would appreciate any prayers. I can't imagine what they are going through. We went to Disney World from the 8th - 15th with Marcus's family. We only had a week's notice before our trip! It was all planned by my brother-in-law. Of course my first priority was to get some shirts made for Katie! My friend, Sherri, came to the rescue. She sells things in Golightly's too and she embroiders...and she's super fast! Her Etsy shop is WeatheredWhimsical. And you can find her on FB here. I thought the zebra shirt was appropriate for that! This is our group minus, Marcus's dad (taking the picture) and My brother in law, Jeff. Who joined us later that day. We met Mickey and Minnie! I rode this ride with Katie first. I was so scared! I am terrified of heights. And it went HIGH (to me anyway). I was nervous laughing so hard that I had tears streaming down my face. It started pouring later in the day. Like my poncho? This was the house we stayed at all week. It was beautiful. And we had a 15 passenger van to haul us around. We had our own pool and hot tub too! Katie rode this roller coaster with her dad a bunch. The baby and I weren't allowed on, but it always gave me an excuse to get a snack! We loved the tea cups and rode them about 100 times! I promise my kid was happy! Another Magic Kingdom day with my Minnie Mouse. These are Katie's super sweet cousins. They are so good to her. We had to see some Princesses! They were so sweet and took lots of time to talk to Katie. I loved watching her face as she was chatting with them. At night we went to the parade. I think the best thing at Epcot was the cro-nut...or 2 that we got. It's a croissant donut! YUM! Marcus, Katie and I spent another day at Magic Kingdom while the others went to a different park. It was our favorite and it had a lot of rides that Katie could do. Katie's looking up, because she's asking Ariel where Flounder is? Marcus left all the spinning rides to me! And I will leave you with the most heavenly picture. We had a wonderful week. It was a trip of a lifetime and we are so thankful. The really crazy thing is that starting in October, Katie was asking me almost everyday, "How many days til we go to Disney World? WHAT? ( we had no idea about this trip until a couple of weeks ago) I kept telling her that we probably wouldn't go to Disney World for several years, until her brother was older. And even then I didn't know if we could, because it's so expensive. She kept asking, day after day after day. So I told her that we needed to pray about it. That if God wanted us to go to Disney World, He would make a way. I said it would be a miracle! Well the girl got her miracle! My brother in law had no idea Katie had this desire in her heart when he planned the trip. It's about time to get ready for this baby boy!